Birth Control Pills (oral contraceptives referred to as "the Pill") are the most common method of controlling pregnancies, used by women in the U.S. Scientists do not understand how these hormone-like drugs work, and manufacturers of these drugs back up their product with false comparisons, making the Pill appear safe. The risks of taking the Pill are compared to the risks of childbirth or of having a fatal car accident, instead of comparing the Pill's safety to other birth control methods (diaphragm, condoms, cervical cap). Every healthy woman who takes the Pill runs the risk of having her good health compromised. If you experience changes in your mental health (an onset of depression, mood swings, nervousness) or your health (chronic health problems, abnormal pap smears, breast cysts, headaches) remember that these changes may be a result of taking the "Pill". Many times the best course of treatment is to stop taking birth control pills and to see if your problems clear up. The "Pill" reduces your body's ability to use certain vitamins efficiently. Immediate danger signs of the "Pill" are shortness of breath, severe leg cramps, chest or arm pain, migraine headaches, blurring or loss of vision, dizziness, jaundice, sensation of flashing or spotting lights, depression or mood swings. Heart Disease: The chance of developing heart disease is increased if a woman takes the Pill and is significantly increased if a woman smokes. The Pill is NOT 100% effective and it carries side effects. Actual use effectiveness among a group of average women, including some women who occasionally skip a pill, the pill is 90 to 98% effective. This means that 2 to 10 women out of a hundred become pregnant within one year on the Pill. Women who always take the pill every day at the same time may get pregnant less often. 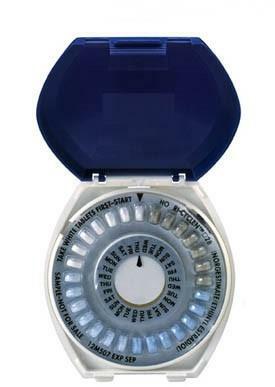 The pill is not considered effective within the first month of use. Research on Yasmin (YAZ) reveals high risk of blood clots.Read more. A U.S. film was produced by PBS in 1999-2002 for their "American Experience” series. The website has transcripts from the film, information about the development of the pill, the senate hearing in the 1970's, and the demands of women in the women's health movement for safety, and informed consent. Click here to find out more.